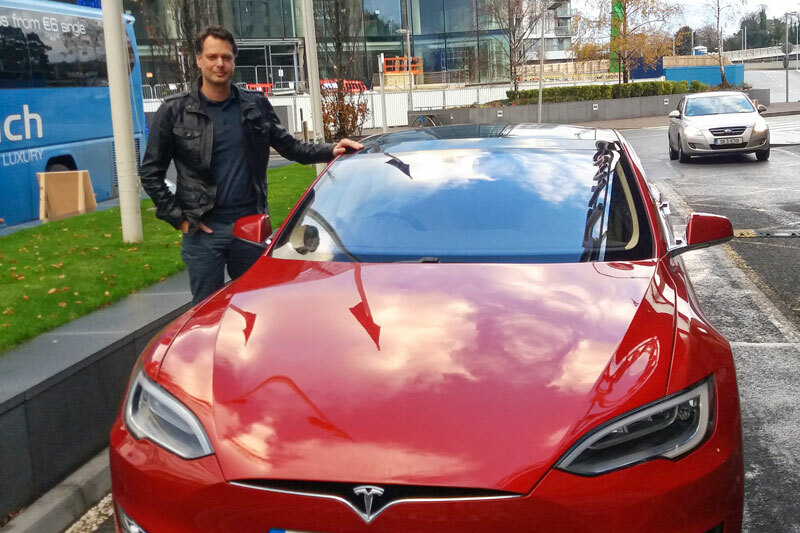 A few months ago I contacted Tesla to arrange a test drive. The day arrived and we pulled into the hotel right on time from Belfast. 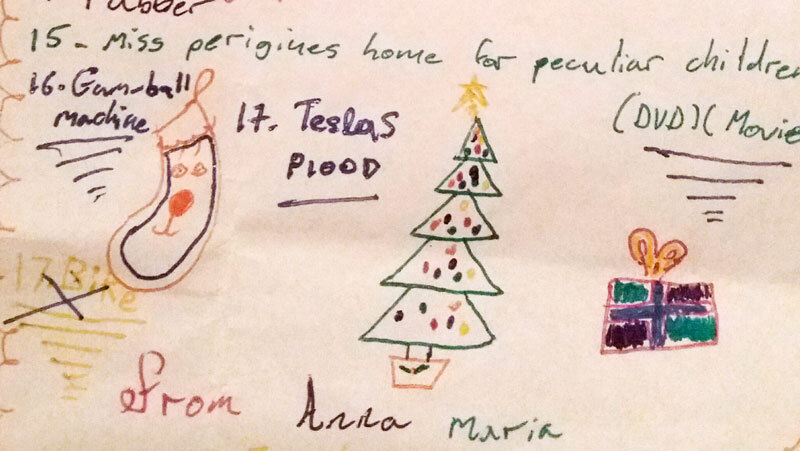 Tesla had booked a room and we went straight from introductions to the test. The cars (3 Model S’s and 1 Model X) were all parked in the underground garage. Not the most salubrious surroundings, but you could still tell these were special machines. Before we got in we checked out the front and rear boot spaces, which were both impressive. The front (frunk) just because there’s a usable space there. The rear because it was so vast. As the Tesla rep drove us out of the garage he pointed out that most people comment straightaway on how silent the car is. 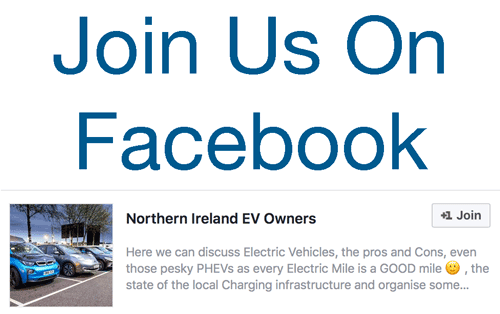 Not us though, we are experienced EV owners 😉 It was a bit quieter than our Nissan Leaf though maybe due to the lack of artificial whistle and better insulation. 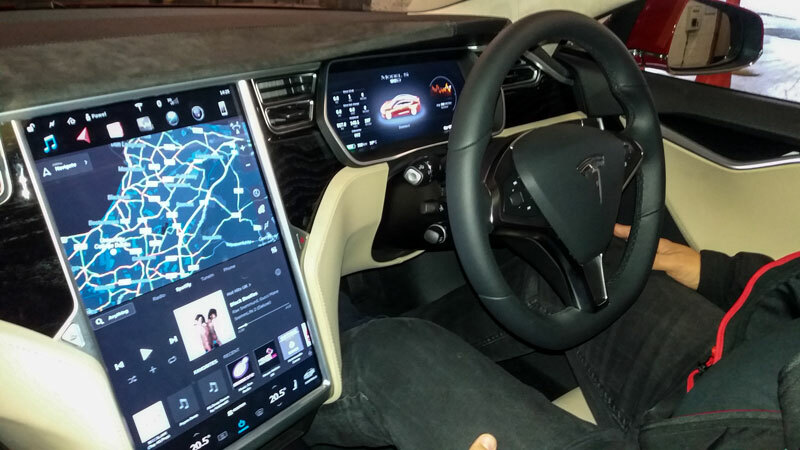 The front of the car is dominated by the two displays. The main one mounted centrally was more or less like a large tablet full of the expected functions like air con, car setup, media player, weather data and other smartphone-like apps. 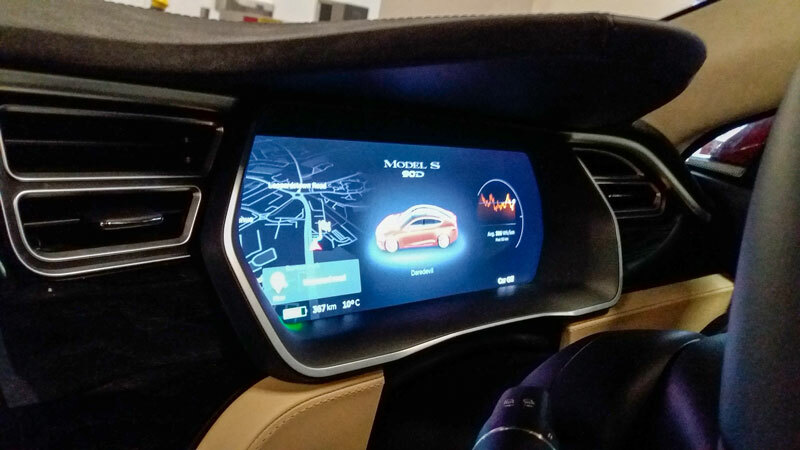 The display behind the steering wheel was also fully configurable but less interactive (it’s not a touchscreen). 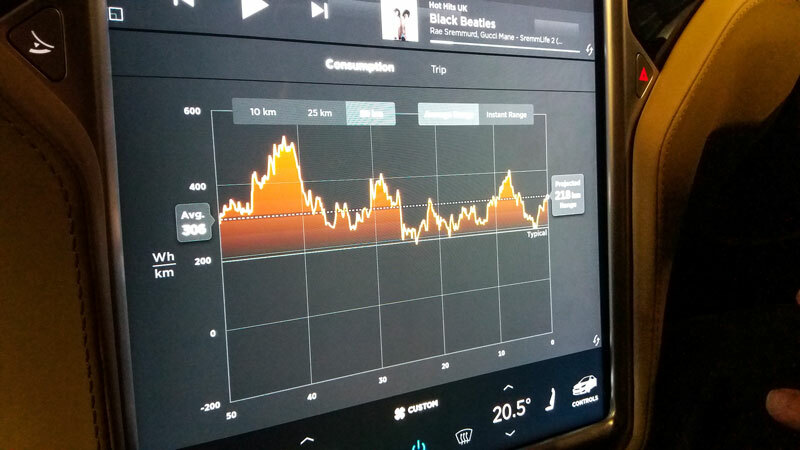 I took a note of the average consumption per mile – around 306 Wh/km i.e. 490 Wh/mile or approx. 2 miles/kWh. Of course that was from the earlier tests when no doubt other drivers were exploring the performance rather than aiming for maximum efficiency. Playing around with the configuration on the main screen showed us the car was called “Daredevil”. Apparently each car has a name! Just around the corner from the hotel we switched seats and I took over. A good chance to see the car in its full glory. I sat in the driver’s seat and tried to accustom myself to the controls. No drama there. Small differences from the Leaf. The gear shifter was mounted behind the steering wheel instead and there is no hand brake. You just press the foot brake harder than normal and the car figures out that you want to stay put. I suppose that is the underlying feeling about the technology on this car. It is all very intuitive, the way things work makes sense. After a couple of minutes driving on the local roads which were peaceful and relaxing we were ready to join the more frenetic M50 motorway. That meant it was time to unleash the full 417 bhp. I mashed my foot deep into the mat, the car launched forward and our heads planted themselves firmly on the headrests behind them. Electric! I know, nothing new there 😉 I do think that any faster acceleration is only for instant personal gratification and has no practical use in the real world. But again it’s good to know that it is available. Once on the motorway the car was smooth and responsive as you would expect. I think we had a low ride suspension setting maybe a bit too low for my liking but still enjoyable. I asked about the auto-pilot and we agreed to use the basic function which allows “relaxed motorway driving” (the full auto-pilot is not allowed in Irish roads). Just a double-click on a lever mounted on the steering wheel activated it. The car followed the traffic ahead and once the change lane indicator was set, it would change lane with a minor input on the steering wheel. The car adjusted its speed and distance from the cars in front in the new lane automatically and continued its job. Very nice and simple indeed. Then it was my wife’s turn to take over the steering wheel. She loved the same smooth drive and responsiveness of the car. The rep flicked it into sport mode and immediately the steering became much heavier. In fact, even in normal mode it is heavier than the Leaf. All in all it is a beautiful looking car, spacious interior and full of technology. 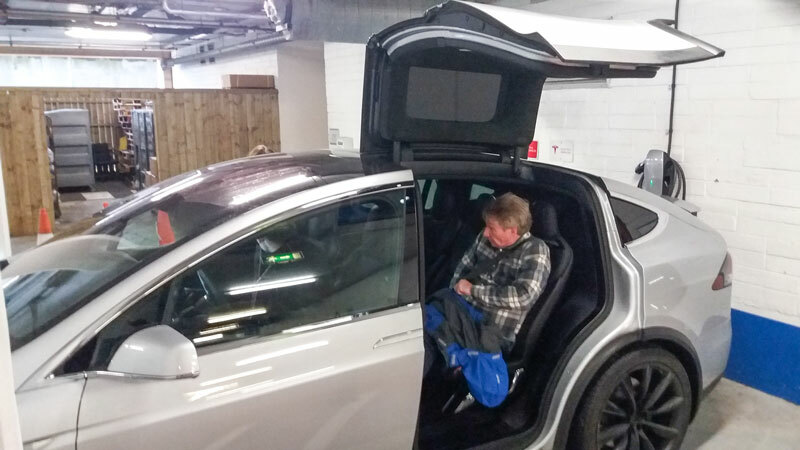 Back at the car park we got a glimpse of the Model X, a beast of a car! We got to see those falcon wing doors closing which was cool. The car has the same understated looks as the S at the front, but the cabin is much higher and the rear much bulkier. The 22″ wheels added to the impression of size. Looking at the rear passenger space it was very generous both for knee and head room. At the same time you can sense the car is quite heavy (2400 kg in fact). It was left hand drive with Netherland plates probably just shipped over for the test drives. 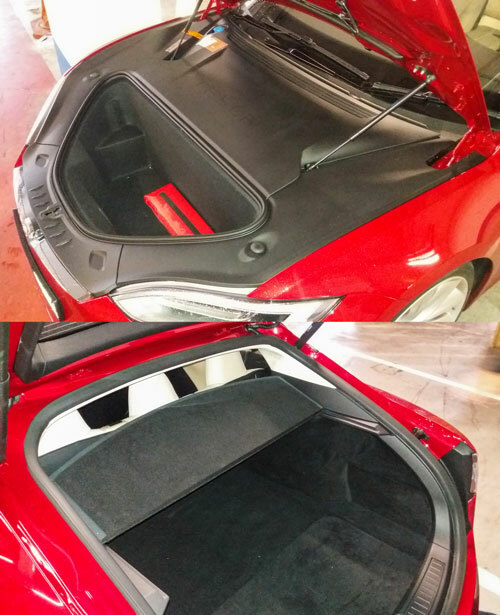 So Tesla look set to launch their dealership in Dublin in early 2017 and they gave me a 4 month lead time for any orders. 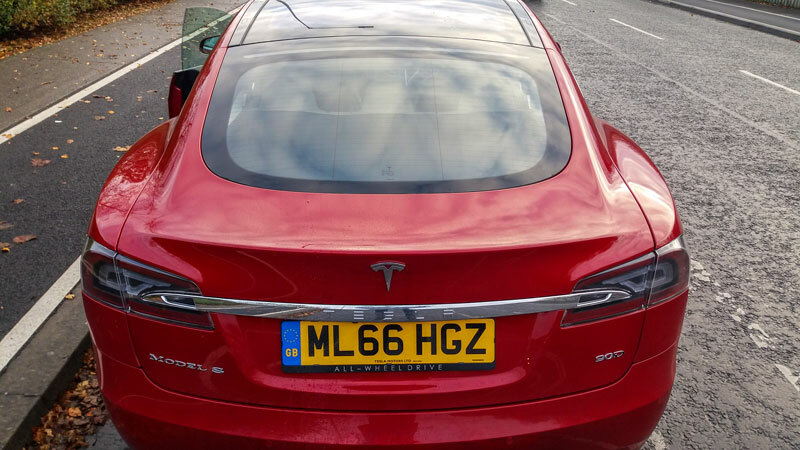 I did not place an order on the day however the 2 hour trip back to Belfast in my 2.0 litre diesel ICE reminded me of how much I want one and highlighted how far ahead Tesla has advanced road transport technology. 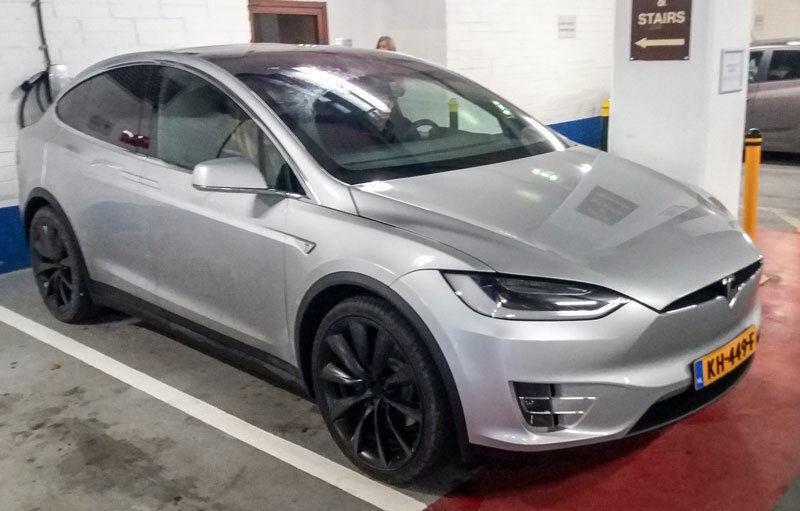 Be the first to comment on "Test Drive: Tesla Model S and Model X in Dublin"